Bosch, a bushy name, of German suppliance. though those seamen, at war, were SS clients. 'We named our hoover Zyklon', somewhat blithesome. No limp bag like stopped lung, 'it spins!' (like Dyson’s). 'We're Techniker here, not profit and losses'. *In 2002 the German electronics Giant Bosch Siemans Hausgeräte filed two applications with the US Patent & Trademark Office for the Zyklon name across a range of home products, including a vacuum cleaner. 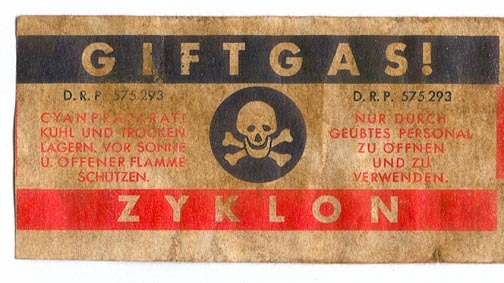 After public outrage, BSH began 'taking the necessary steps to withdraw its trademark applications' for Zyklon. See here and here. **The hendecasyllabic (from the Greek for 11) metre is a line formed from 11 syllables. It was used in Ancient Greek (Aeolic) verse, and later by the Roman poet Catullus.